According to the official Netflix support page, the first thing you should do for continual buffering is check the basic settings. First, check your connection. If you’re using a wireless connection, make sure the signal is strong and other users aren’t eating up your bandwidth. 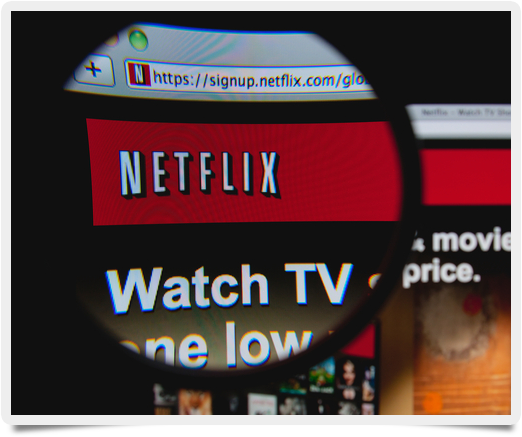 A minimum, constant download speed of 0.5 megabits per second (Mbps) is required to access any content on Netflix. If the connection seems fine, turn off and then reboot your computer or video game console. On a desktop, turn off any unnecessary background applications or games that may be hogging resources. On a console, make sure a patch or other downloadable content (DLC) isn’t being downloaded while you’re trying to watch a movie. If your buffering problems still persist, reset your home network and then check your download speed using a free Internet speed test. Finally, remove the possibility of interrupted service by connecting your devices directly to a modem or router rather than relying on wireless. It’s also possible that Netflix buffering issues are due to slow Internet speeds combined with high video-quality settings. Many Internet service providers (ISP) rate their connections based on “burst” speed or peak speed, meaning they won’t be able to sustain advertised download rates over the long term. If your video-quality settings are too high, the streaming service will require constant buffering to catch up. To adjust these video settings, head to the Netflix “Internet Connection Speed Recommendations” page and then click on the link to “Video Quality” to adjust your settings. If you have a constant 5 Mbps or better connection, select “High.” If you’re between 1.6 and 5 Mbps, choose “Medium,” and if you’re under 1.6 Mbps, select “Low,” then click “Save.” This should help minimize buffering issues. If your Netflix buffering problems still aren’t resolved, try changing the service’s streaming options. While the service automatically adjusts your buffering rate based on your Internet connection, it can’t always keep up with fluctuations in download speed. On a desktop, press Shift+Alt+Left Click (or Shift+Option+Click on a Mac). On a Playstation or Xbox, press up, up, down, down, left, right, left, right, up, up, up to access the diagnostics menu. Here, you can adjust the buffering rate from 1750 down to 1050, 750, or lower. While lowering the stream rate means shows and movies will take longer to load, they should also be almost entirely free of buffering. Constant Netflix buffering can make watching even a half-hour sitcom an effort and make watching movies almost impossible. If you’re having this problem, start with troubleshooting basics, adjust your video quality, and, if necessary, lower your streaming rate.